Kymythy is available for press interviews and public speaking events. If you would like to schedule a workshop in your area, please call 360-620-6393. We want your consultation to be a positive experience for everyone involved. 1. If this is an emergency, please contact your local primary care physician or your local emergency facility. 2. 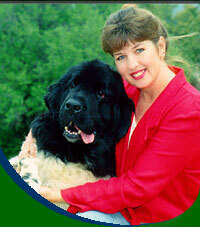 Consultations are available for dogs, cats, and humans. If you are requesting a consultation for a dog or cat; please read one of Kymythy’s books: Natural Nutrition for Dogs and Cats: The Ultimate Diet or Natural Nutrition for Cats: The Path to Purr-fect Health before you schedule a consultation. The book is available at many bookstores, pet supply stores, and through Kymythy’s website at www.kymythy.com We want to save you time and money! You may find that after reading the book, your questions are answered, and you no longer require a private consultation. 3. Consultation fees are $100 per hour. Additional time is $25 per 15 minutes. 4. If you must cancel your scheduled appointment, we ask that you please give 48 hours notice. Your consultation fee will be put towards a different time. No refunds are given once a consultation is scheduled. 2. Fill out the consultation form completely and clearly. There are six pages for you to read. Your signature is required on page six. 3. Mail completed forms (consults cannot be scheduled without your signature on page six) with check or money order (US funds) for $100 made out to Kymythy Schultze to: Kymythy Schultze, P.O. Box 1881, Poulsbo, WA 98370. 4. Once we have received your forms and check, we will contact you to schedule a consultation time that is convenient for you.